The Luceplan Costanzina table lamp easily adapts to any environment and knows no stylistic limitations. Through the screen color, the color quality of the emitted light can also adapt to the environment. 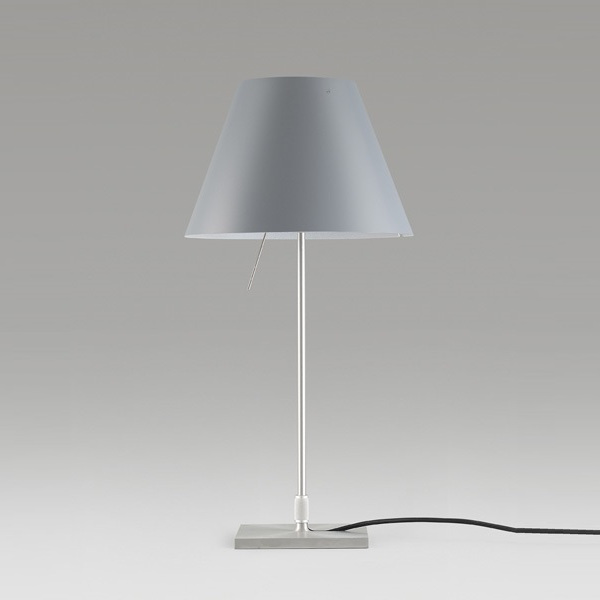 The shield of the Costanzina table lamp also has an interesting attachment concept: Only two holding rods connected to the aluminum structure, the screen vibrates while when it is triggered, however, does not fall off.